32428 Lion Head Wall Fountain home decor, jewelry, decor, decorations, electronics, fountains, floor mats, art glass, vases, garden essentials, fireplace screens. 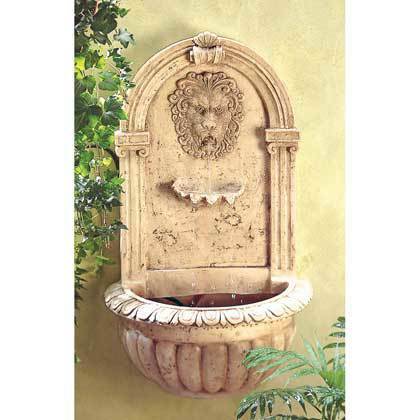 32428 Lion Head Wall Fountain, Free Shipping !!!! Mount this classically styled fountain on any wall to recreate the ambience and elegance of a Greco-Roman sanctuary. The look of carved stone without the weight and expense!